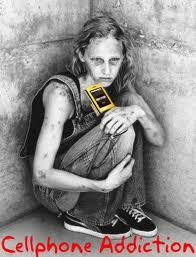 Here’s a link to a brief interview I did about cell phone addiction that was part of a segment on “nomophobia” that appeared on the Today Show, May 14, 2015. With all of the excitement over the now $550 million Power Ball lottery, I thought I would share with you a brief excerpt from my book (Pages 151-152), Shiny Objects: Why we spend money we don’t have in search of happiness we can’t buy (Harper Collins, 2011). I hope you add my book to your Holiday shopping list. My mother-in-law saw a great t-shirt that read “Please Lord give me a chance to prove that winning the lottery won’t change me.” I am sure this is a sentiment we all share—win the lottery and all our troubles simply fade away. Well, not quite. In a classic study on how winning the lottery might impact one’s happiness, researchers Philip Brickman, Dan Coates, and Ronnie Janoff-Bulman interviewed 22 major winners of the Illinois state lottery. The trio also interviewed 22 average consumers and interestingly, 29 accident victims which included 11 paraplegic and 18 quadriplegic respondents. Each of the three groups (lottery winners, average consumers, and accident victims) were asked to rate on 6-point scales ranging from 0 for “not at all” to 5 for “very much”, how happy they were now (not at this moment, but at this stage of their life), how happy they were before winning the lottery or the accident, or six months ago for the average consumers. To close, each group was asked to rate how happy they expected to be in a couple of years. The groups were also asked to rate how pleasant they found every day events such as: talking with friends, watching TV, eating breakfast, hearing a funny joke, getting a compliment, reading a magazine, and buying clothes. Surprisingly, as the table below attests, lottery winners were no happier than typical consumers when looking to the past, in the present, or expectation of future happiness. The real kick in the pants is that lottery winners did not foresee any greater future happiness than did the accident victims. And, when it came to enjoying the everyday pleasures of life, lottery winners rated the seven everyday activities as less pleasurable than the average consumer group. It appears that after such a big event like winning the lottery, simple pleasures lose some of their luster. While perusing the Sunday paper I was pleasantly surprised to see that the new “Lincoln” movie with Daniel Day Lewis was third in the box office ($34 million in weekend sales) behind the last in the Twilight saga line ($64 million in weekend sales) and Sky Fall ($51 million in weekend sales), the latest in the James Bond series with Daniel Craig as the intrepid secret agent. Taking nothing away from the Twilight and Sky Fall movies, okay I am not a big fan of the Twilight movies but then I am not a teenager or of the female persuasion either. But it’s nice to see a historically important movie like Lincoln find an audience especially when it deals with the incendiary topic of slavery. It appears that we are still in love with any and everything Lincoln. In fact, Ford’s Theater Center for Education and Leadership, determined that there have been 15,00 books written about Honest Abe – enough, when stacked one upon another, to reach three stories inside the Ford Center. So, why am I talking about the Lincoln movie and Honest Abe in this blog? 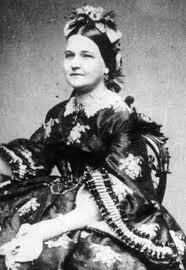 Very simply, Lincoln’s wife, Mary Todd Lincoln (MTL) was a compulsive buyer, adding to the already heavy burden on the weary shoulders of our 16th president. As she saw it, MTL’s job was to give her husband’s administration a “sense of style and fashion” (www.civilwar.si.edu). One of her first forays in over-spending surfaced when she was faced with the task of refurnishing the presidential mansion. Congress, talk about a serious creditor, had allotted her the princely sum of $20,000 to complete the task. MTL bought every item of Victorian furniture and furnishings available and ended up exceeding her generous budget by $6,000. She enlisted the help of Benjamin Brown French (Federal commissioner of public buildings) to plead her case with President Lincoln. But Honest Abe would have nothing to do with it. How would it look, fumed Lincoln, to overrun a generous $20,000 allotment for furnishings when soldiers were freezing without blankets to keep warm. MTL increasingly squandered, made easy by eager creditors, large amounts of money on custom-made dresses ($2,000 for her husband’s last inauguration), piles of fur coats, and 300 pairs of gloves purchased in four months’ time (and this was before Internet shopping!). Her profligate spending became a campaign issue. The democrats planned to expose MTL’s many excesses, especially her clothing expenditures. MTL was outraged. Why, she thought, Republicans should pay off her bills rather than simply worrying about them being exposed. Historian Margaret Leech had this to say about MTL’s compulsive buying, “Like a drug for her tortured nerves, she indulged in her orgies of buying things … The charge accounts for her purchases mounted to appalling sums – things she could never use, for which she could never hope to pay” (www.mrlincolnandnewyork.org). By 1864 MTL had rung up “store bills” of $27,000 – more than she spent on redecorating the presidential mansion which sent President Lincoln into a rage. 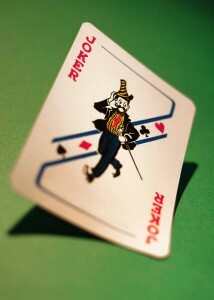 Blindly, she continued to spend “hoping that good fortune would favor her, and enable her to extricate herself from an embarrassing situation” (www.mrlincolnandnewyork.org). Alas, as we all know, good fortune did not shine down upon Mrs. Lincoln and she ultimately died penniless – another victim of Shiny Objects. In my last post, I promised we would take a closer look at gratitude. Since we are only a few days from Thanksgiving, I thought this might be important territory to cover. People who study this kind of thing, define gratitude as: a generalized tendency to recognize and respond with grateful emotion to the roles of other people’s benevolence in the positive experiences and outcomes that one obtains (McCullough, Emmons, and Tsang, 2002). Having a grateful disposition helps us to recognize and give thanks to others who have had a positive influence on us. There are four important facets of a grateful disposition: Intensity, frequency, span, and density. Someone with a grateful disposition feels more intensely grateful when experiencing a positive event compared to a less grateful person. A second factor of gratitude is frequency. A grateful person feels grateful more often and may feel grateful for even simple kindnesses like a warm greeting or compliment. Or, a kind soul who lets you merge onto the highway without nearly running you off the road (Okay, now I’m venting). A third facet of gratitude is span. A grateful person feels grateful for a wider variety of circumstances including family, friends, their job, health, and even for life itself. Simply having another day to enjoy what life has to offer is a wonderful gift itself. As a facet of gratitude, density has to do with the number of people we feel grateful towards regarding a certain aspect of our lives. For example, a grateful person will acknowledge that many people played a role in their success. At the other extreme, a less grateful person may feel that he or she were solely responsible for any success they may have achieved. I think the hidden gem beneath all of this is that being grateful of the role others have played in our lives is the key to grateful living. And, this explains why grateful people are happier than their less grateful counterparts. Healthy relationships are the sine qua non of happiness. When we recognize the positive role others have played in our lives, we feel closer to those people. I think it was Barbara Streisand who crooned, “People, people who need people, are the luckiest people in the world”. Babs was really onto something. So, here’s your assignment this Thanksgiving. Get out a pen and piece of paper, I’ll wait, and write down at least five people who have had a positive influence on your life. Choose one and write them a short note telling them what they did and how much it meant to you. But here’s the rub. You need to express your gratitude face-to-face. It will be the greatest gift they will receive all Christmas season. It’s that time of the year again, when families far and wide gather to give thanks for the blessings bestowed upon them over the past year. Don’t forget to add a generous helping of food, football, and of course, shopping. You may have already heard that Black Friday has been extended this year to 8:00 p.m. on Thanksgiving Day by numerous retail giants. 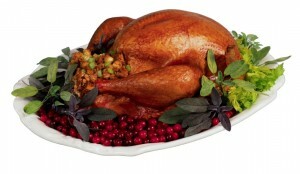 At this rate we will soon dispense altogether with Thanksgiving dinner and simply go shopping instead. And, with the Internet, we won’t have to leave our homes to cash in on the myriad of Black Friday “bargains”. But, I digress. My objective with this blog is to extol the virtues of gratitude. People who practice gratefulness are happier by as much as 25% over those less inclined to see the glass half full. Gratitude may also help us ward off the siren’s call to go shopping on Black Friday (whatever the starting date). Research shows that people who are grateful for what they have want less – the desire for more is the very cornerstone of materialism. As parents, we know raising grateful kids is not easy. Having grown up with so much, they tend to see more as the only road to happiness. Teaching them to be grateful is one way to combat the rising tide of materialism. Talk at the dinner table about what each of you have to be grateful for, give thanks through prayer for all that you have, and, on a less spiritual plain, keep a daily gratitude journal. Simply grab a pad of paper and pencil and write down three things that happened that you were grateful for that day. Research shows that after several weeks people who keep gratitude journals are happier than those that don’t. Maybe there really is something behind this idea of setting aside a day each year to celebrate our blessings. My next blog will flesh out a more complete definition of gratitude, offer a scale for you to measure how grateful you are, and talk about the role others play when practicing gratitude. Gobble-Gobble. Despite the somewhat rocky economy, Hermés, a retailer of upscale leather accessories and fancy silk scarves, can hardly keep their shelves stocked with their toney merchandise. Hermés’ starter Birkin leather handbag retails for $6,130. The upscale retailer tallied a 24 % increase in their third quarter with sales of €848.6 million Euros (roughly equivalent to $668.2 million US dollars) (WSJ, Nadya Masidlover, 11-9-12, B4). So, what does it take to be a member of this rarified target market that plops down over $6,000.00 for a Hermés starter handbag? Interestingly, a recent Gallup poll found a majority of Americans think it would take an annual income of $150,000 to “be rich”. 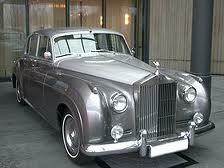 Fifteen percent of Americans feel they would need at least $1 million a year in income to be a member of the jet set. And, it appears that the more we make, the more we think we need to “be rich”. Those who make less than the U.S. median family household of $50,000 feel they need $100,000 to “be rich”. Those who earn more than the $50,000 mark feel they would need $200,000 per year to “be rich”. Those that make $75,000 or more per year feel they would need $250,000 per year to “be rich” (Jeffrey Jones, 12-8-2011, Gallup.com). Apparently, more is never enough. 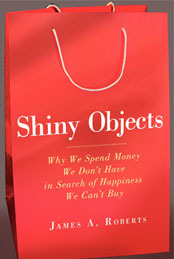 As author and Psychologist April Lane Benson quips on the back cover of Shiny Objects, “that we can never get enough of what we really don’t need”. 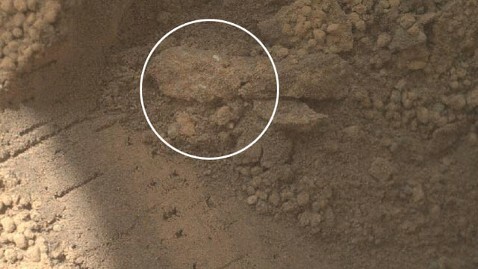 You can imagine my disappointment when I discovered that the SHINY OBJECTS found on Mars was not a copy of my new book, Shiny Objects: Why we spend money we don’t have in search of happiness we can’t buy. In fact, what NASA’s Curiosity Rover uncovered last month were “Shiny Objects” that appeared to be “Martian Material”.